IN what is described as the worst single motor vehicle accident on Namibian roads in terms of casualties this year as well as one of the worst since the country’s Independence, 13 people died horribly in the tragic head-on collision between two long distance minibus taxis near Otavi earlier today. 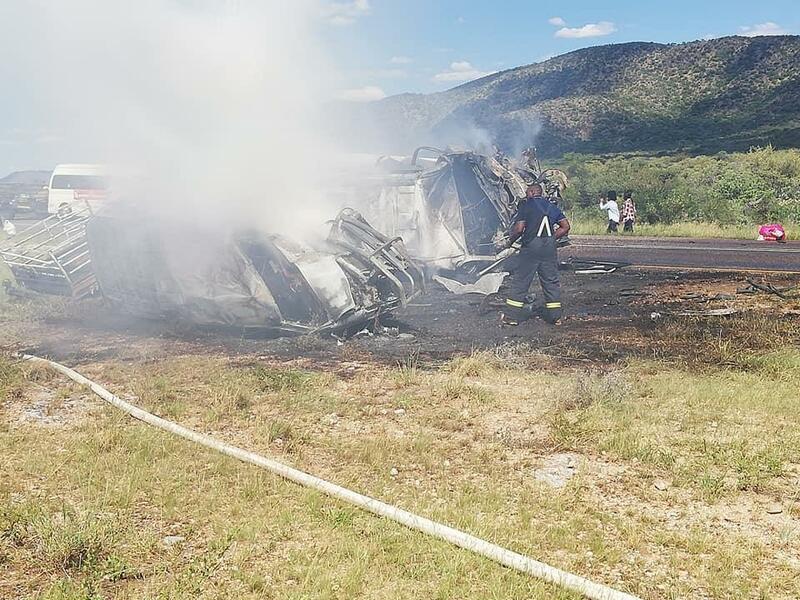 Chief Inspector Kauna Shikwambi of Public Relations Division of the Namibian Police confirmed that eight female and five male passengers were burned beyond recognition while they were trapped in the wrecks of the vehicles. 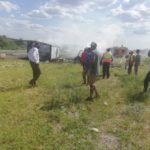 It is alleged that the accident was caused when the Toyota Quantum which was travelling in the direction of Otavi suffered a tyre burst causing the driver to lose control and veer into the lane of oncoming traffic. 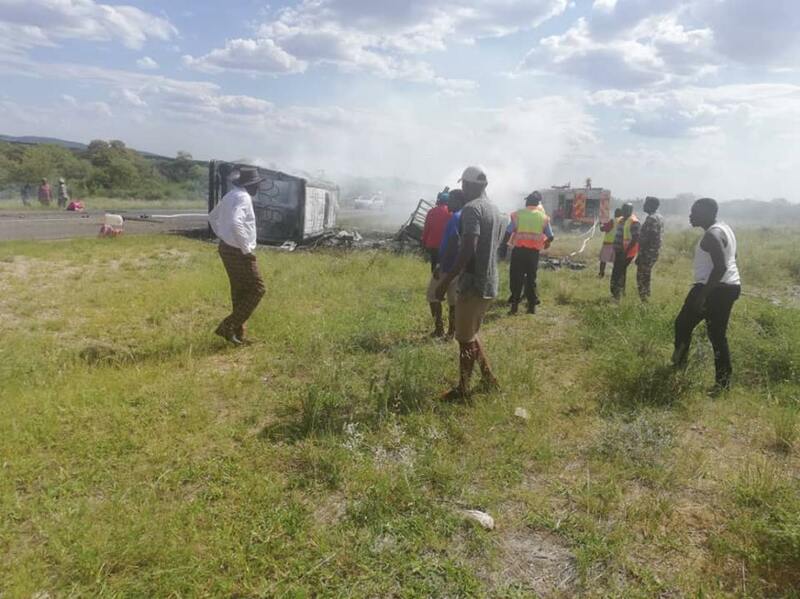 The Iveco minibus that was travelling north on its way to Tsumeb was hit directly from the front. The impact caused both vehicles to overturn and to burst into flames. 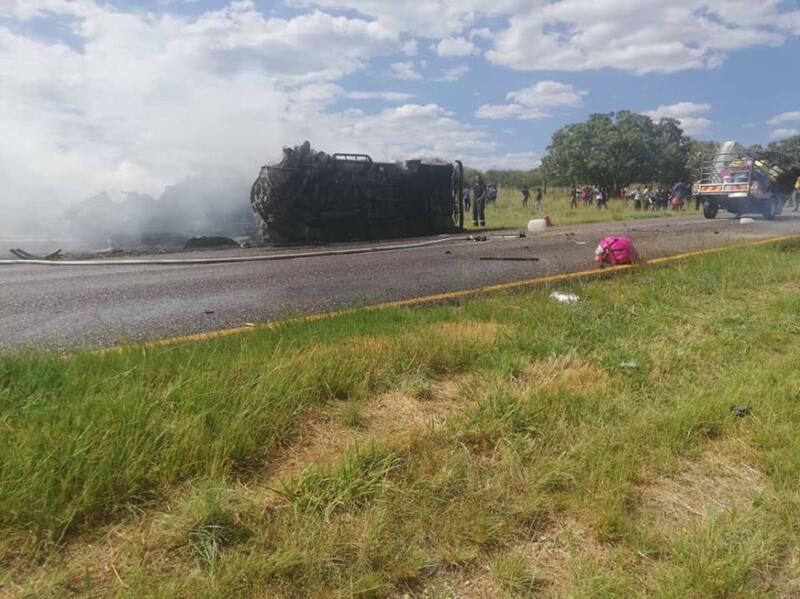 Five women and three men were trapped inside the burning Iveco bus while three women and two men suffered the same fate inside the Quantum. Some of the passengers from both vehicles managed to escape to safety before the flames completely engulfed the wrecks. The injured persons crawled to safety and were forced to sit in the grass next to the road while bystanders attempted to help and give them comfort while they waited for ambulances to transport them to medical facilities for further emergency care. Some of the injured parties were reportedly transported to the hospital facilities of the Namibian Defence Force Base near Otavi for emergency treatment. 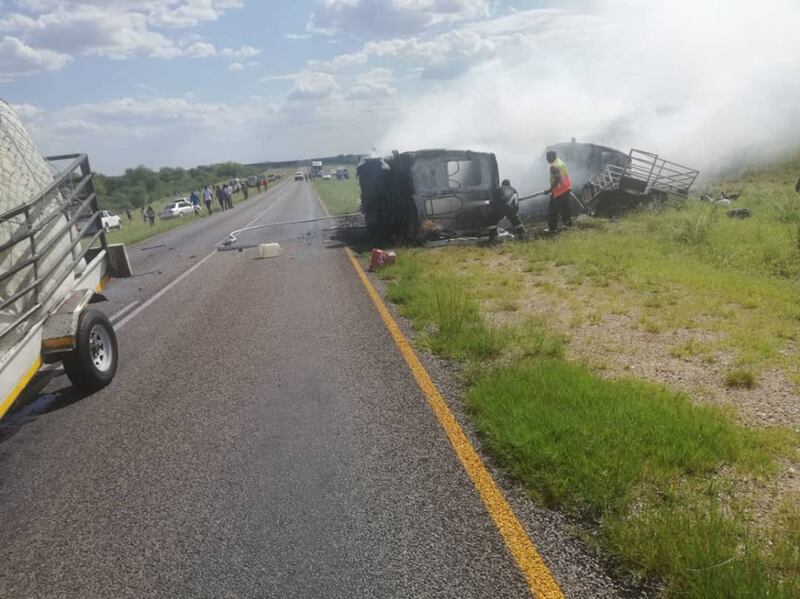 The tragedy occurred around 14:50 on Sunday afternoon about five kilometres north of Otavi on the B1 Road towards Tsumeb.